One word: spectacular. The noise level is extremely high though. If you want to get a closer look of the falls, this will get you up close and personal. You walk through tunnels and come out from behind the falls. We did this one last, luckily. It seemed like I was taking a shower with all my clothes on. 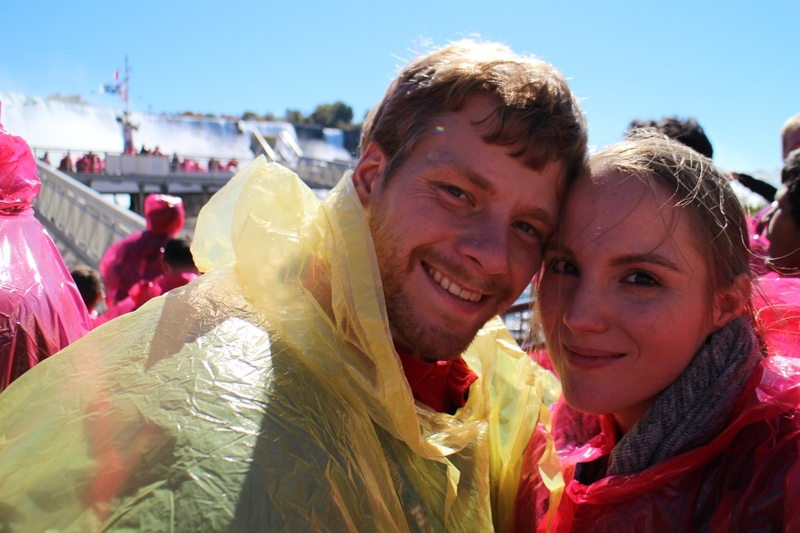 Provided poncho did nothing, thanks to the wind or the power of the falls. I’m not sure, all I know is that we were all completely wet. 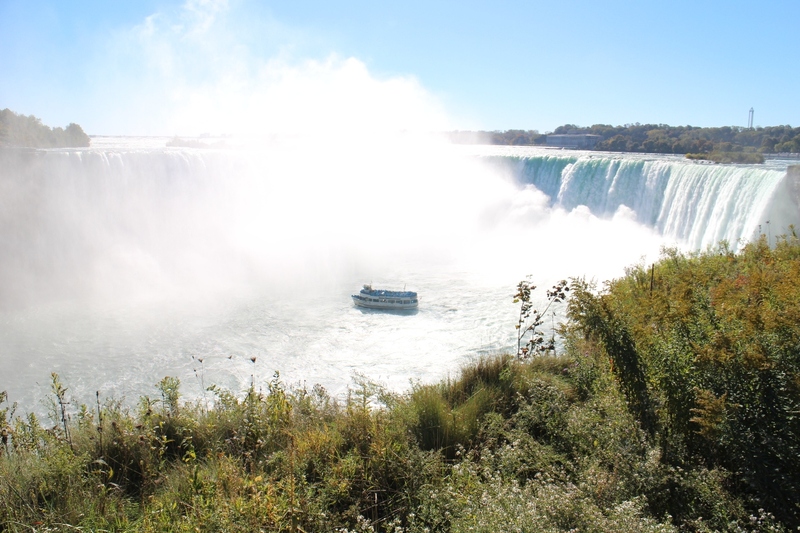 It’s an amazing experience being that close to Canadian and American side of the falls – they’re massive! On a nice sunny day you’ll also be able to see rainbows up close. The attraction is geared toward kids. It’s seperated in two parts. When you enter, you’ll be standing in a room. You can put your bag down and relax, no water is splashed here. After that, you’ll be transfered to the theatre room equipped with a 360 screen. If you don’t want to get wet, choose the middle row and walk almost to the end. Either way, you’ll be given a poncho to keep you dry, before entering the room. 4D effects include fake snow, rainstorm and cold. The animated movie (10 minutes) is really cute! It presents history of the falls, starting with the creation. The animation is beautiful and it’s not just kids, who enjoy watching it. I know I loved it. But if you’re in hurry, skip this one. Many people we talked to, told us White Water Walk was their favorite activity to do in Niagara because of the beautiful scenary. We were not particularly impressed by it; Niagara river is like a little bit wider Soča river, Slovenian attraction well-known for its strong blue-green color. Don’t get me wrong, the sheer volume of water and the sound are astounding. Worth the ticket, for sure. 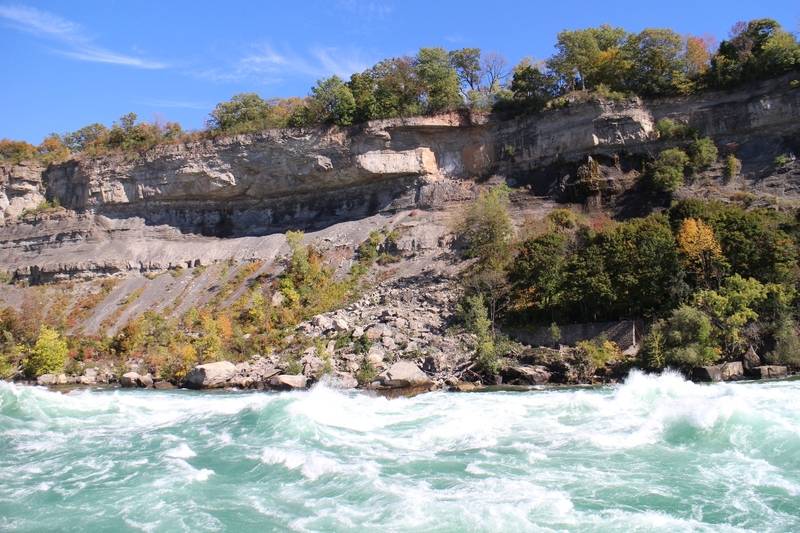 It’s a lovely half hour walk next to rapids after the water has roared over the Niagara Falls. I loved it was educational, they had signs along the boardwalk telling you what to pay attention to, facts about the river and more. Another advantage is you do not get wet here. If you plan to do more than 2 activities, go for it. It was our first time there, so we tried to do as much as possible and we had a blast. In my opinion, all attractions are fun and enjoyable, especially if you’re a first-timer, a family or a returning visitor who has only done a cruise before. 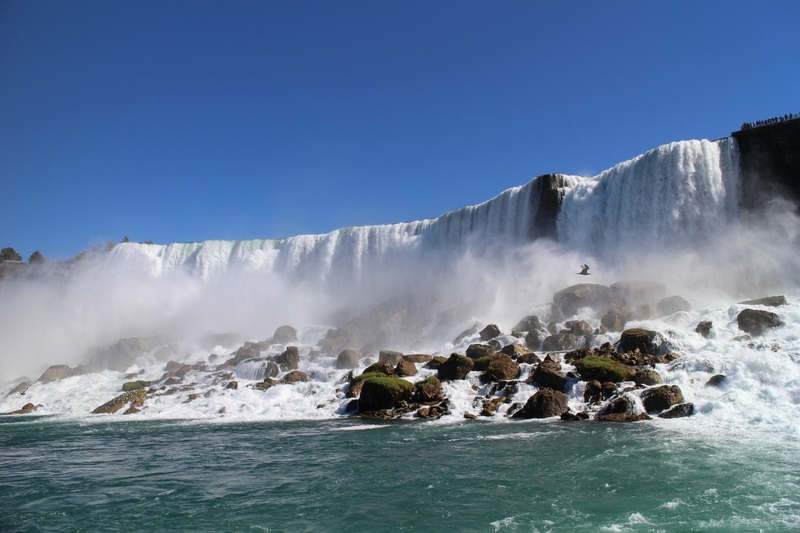 I have no regrets, but if I was coming back, I’d only do Hornblower Niagara Cruises and maybe Journey Behind the Falls if the falls would be frozen.